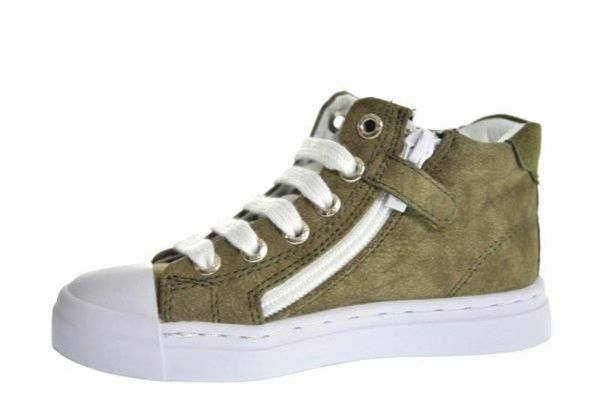 Tough boy shoes, upper of dark green suede and are fully lined with leather. 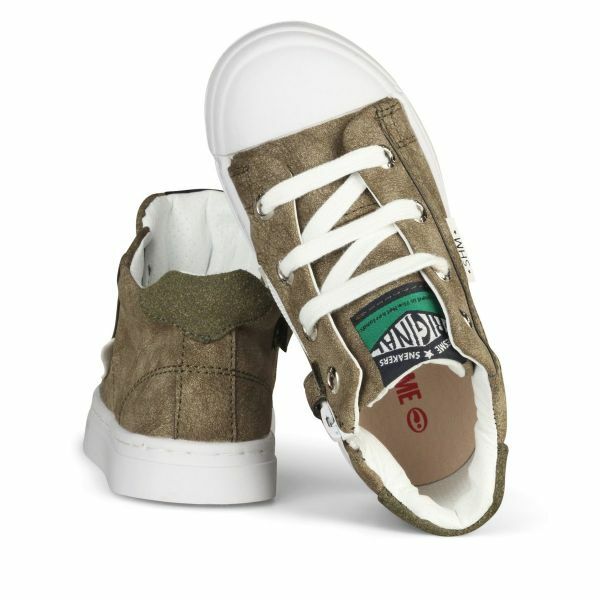 The shoes have a sturdy sole that extends over the nose, which makes it super strong! 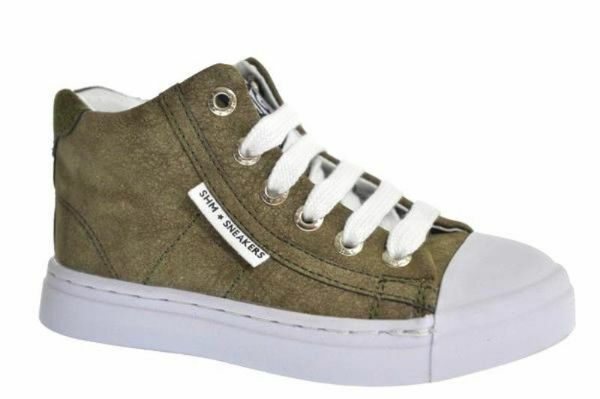 The shoes are conveniently put on and off with the zipper next to the laces.